Regeneration of Greenwich Peninsula began back in the 90’s to celebrate the Millennium with the building of The Dome. The remainder of the area is now being completely renovated. Conran & Partners in conjunction with Savills have begun the first phase of an impressive build of private residences which will be set amid parks and hidden gardens, bounded by 1.6 miles of prime Thames waterfront. Open-air art installations are joined by gallery, film and performance spaces. Shops, bars and dining add to choices further along the river and in the city. The development will consist of 5 distinct districts with a variety of properties to choose from including studio, one-bed, two-bed, three-bed and penthouse properties. Each building has its own character, amenities and architectural style. 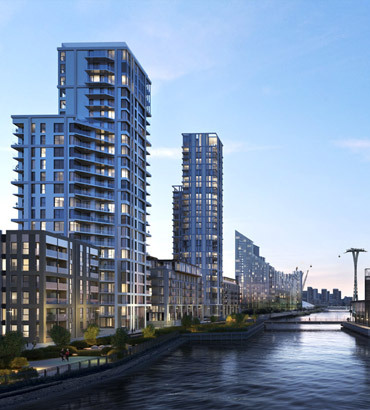 The first building in this regeneration is ‘The Waterman’, an elegant double tower rising 30-storeys above the Thames and landscaped gardens. Crisp architecture in a stunning riverside setting is complemented by contemporary interior design by Conran + Partners. 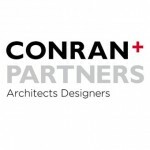 “We are delighted that Conran & Partners have chosen Versital bespoke shower trays to use within their design and specifications. We have worked closely with their design team to create a custom shower tray that will complement their bathroom designs perfectly, giving the quality and feel needed to reflect the apartments. If you are an architect, designer or working on a commercial project and want advice or a quote to use Versital shower trays or bespoke shower trays please contact us direct on 01204 380780. Alternatively please send us a contact form and we will contact you at your convenience.